An innovative soap product specific to cleansing sponges. A unique product specifically designed to clean sponges. It disinfects the sponge and cleans all textures. For waterproof textures, let the sponge soak prior to cleaning. The unique combination of mint essential oil and natural origin washing base deep-cleans and disinfects the sponge. 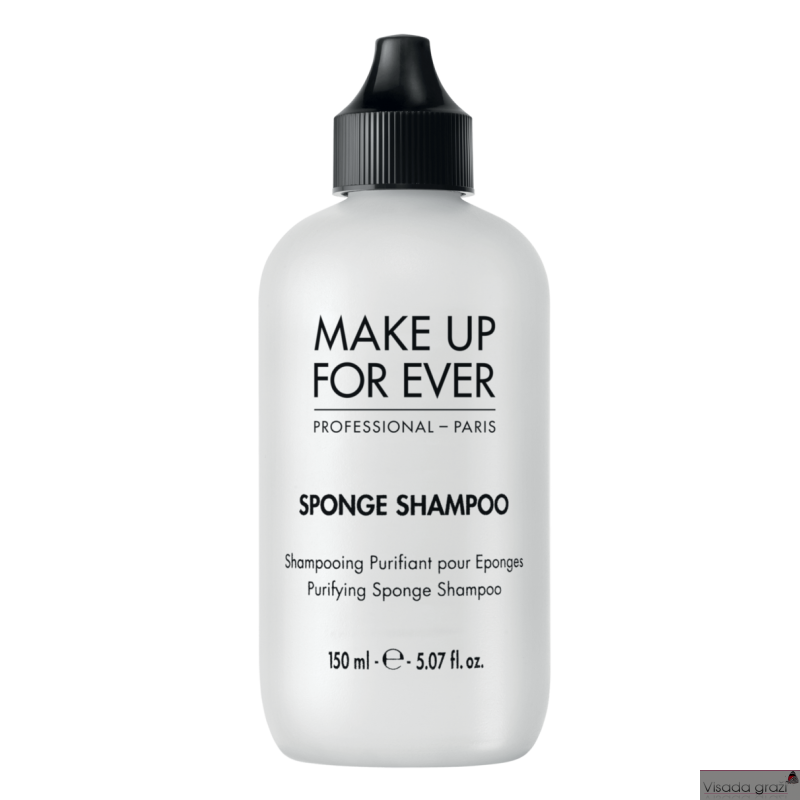 As a real shampoo, it helps extend the sponge's life-span, preserving its elasticity without altering its texture and leaving a gentle fragrance. It can also be used to clean puffs. Wet the sponge with hot water and then pour some product directly on the sponge. Lather and rinse well with hot water. The Sponge Shampoo is used just like a standard shampoo. Wet the sponge with hot water and then pour some product directly on the sponge. Lather and rinse well with hot water. If the sponge is very dirty, let it soak in hot water with a small amount of Sponge Shampoo before or after washing the sponge directly.